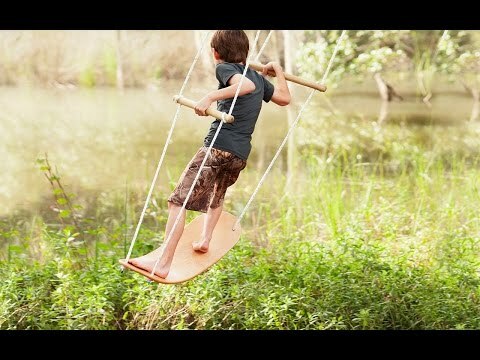 This standing swing lets you sail through the air, while cultivating the balance and core strength needed to graduate to board sports. But kids will just think it’s fun. 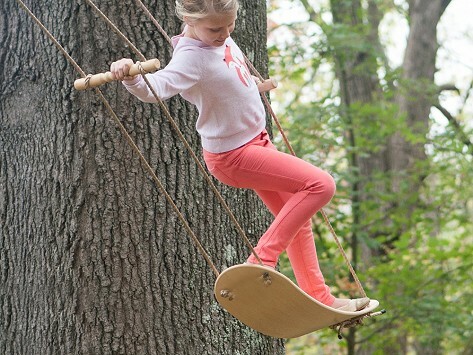 Made in the USA from hard maple wood, Swurfer is designed to mimic a skateboard or snowboard, letting kids swing side to side as well as back and forth. Adjustable wooden handles add stability.